The rue du Bac was named for the loading spot of the ferry (bac) that transported stone blocks across the Seine for building the Louvre and the Tuileries palaces in the mid-sixteenth century. 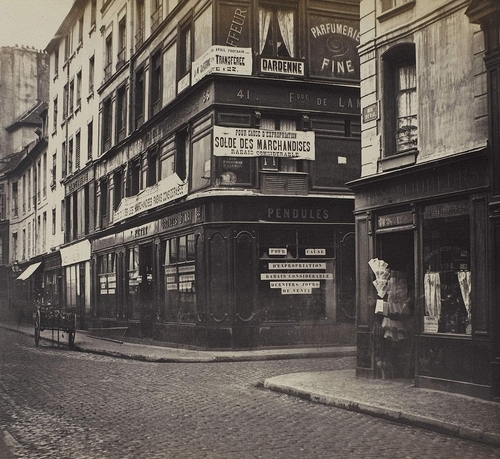 Marville made this photograph just before this section of Paris was absorbed by a new, wider boulevard. Signs touting last-chance “moving sales” and informing customers of new locations drape the building on the threatened corner.